A bit of history at the beginning. 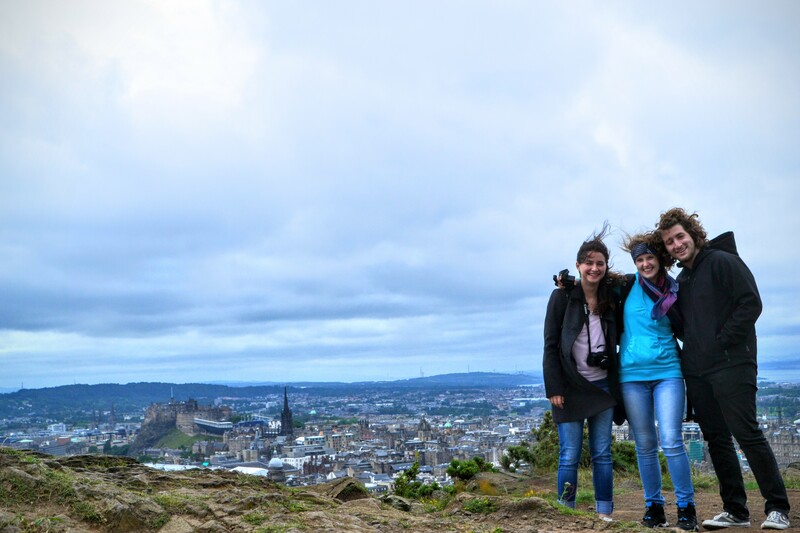 Once upon a time in the town of Edinburgh, Scotland – it was a cloudy summer day, not very cold but also not very warm. Just a typical Scottish day (if you know what I mean). Meanwhile, somewhere in the sky, there was one German airplane that bringing three brave young scientists from the small town of Juelich to the town with terrifying history, Edinburgh. This was a milestone for Edinburgh, the crew was coming. And now back to the reality again. 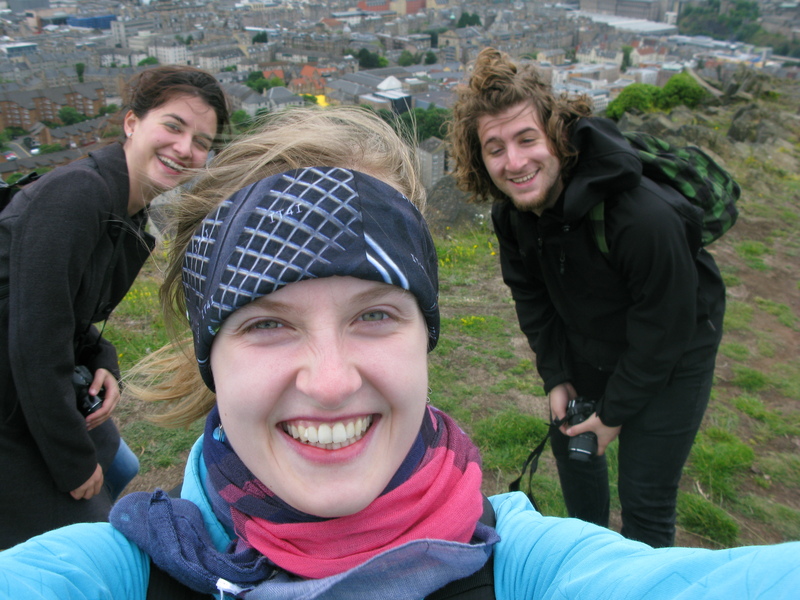 As you already know, the Edinburgh crew consists of three members – Anna, Tomislav and me. 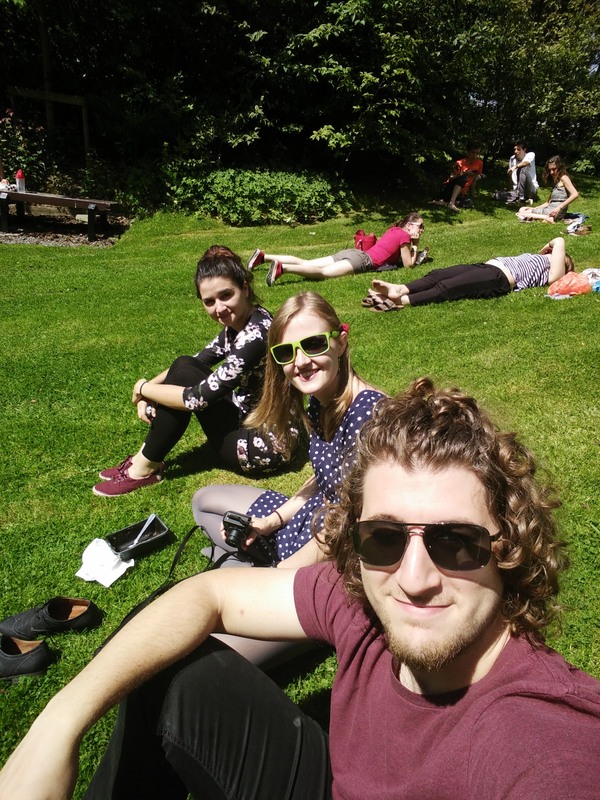 We’ve been more than a week in Edinburgh and discovered lots of awesome places, met new people and started working on our projects. Let’s take it from the very beginning. The moment you step onto the Scottish land, everyone is trying their best to help you and wishes you a warm welcome. A few fellow Scotsmen (tram workers) greet you and help you buy a ticket. Coming from the eastern part of Europe, I didn’t expect such friendly people and I was very nicely surprised. However, what wasn’t such a nice surprise, was a completely blocked drain in my shower. Yes, it taught me how to get a shower really really quickly, but after a while my shower became absolutely unusable. I was complaining about this to the guy responsible for the accommodation for two weeks and when I finally decided to buy a set for drain unblocking, the guy repaired it. So, if anybody needs a set for drain unblocking, feel free to ask me. 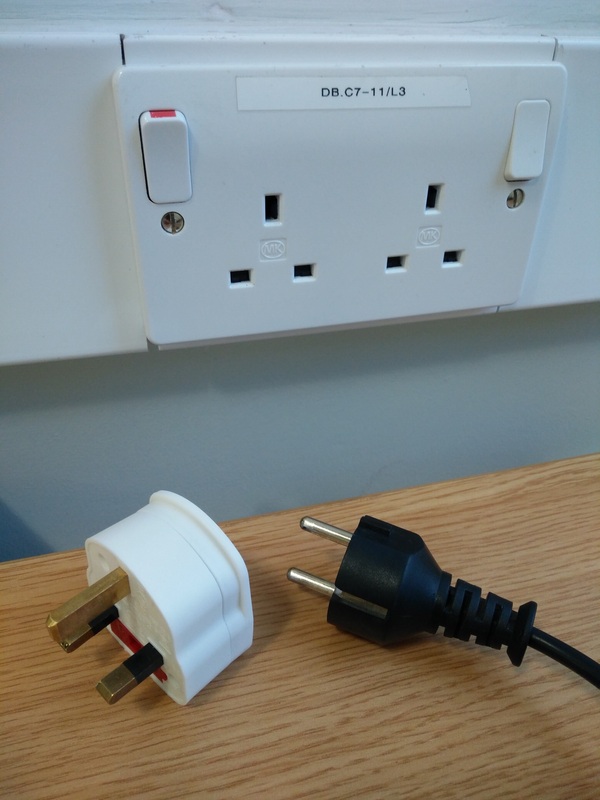 The first day was in the name of familiarizing with odd British sockets – the most important thing in the life of an IT geek (you’ll get it when you take a look on the picture on the right – I guess no more words are really necessary! Don’t forget to switch it on!). Another thing you have to keep in your mind is the road traffic. Cars and buses driving on the wrong left hand side of the road are quite uncommon for us. Not only a car can hit you but it can also come to an embarrassing situations when waving to a bus (because they don’t stop otherwise), which is going the opposite direction. Although Edinburgh has trams, the range is limited so we mostly take buses everywhere. I really enjoy travelling in by double deckers (especially when I can sit on the top level on the front seats). Having lunch and enjoying the Sun. A white duck with manners of a greedy monkey – seagull! You have to be wary about those birds. There’s a lot of them and don’t hesitate to steal your meal right from your hands. You fall asleep with seagulls and wake up with them as well. Since seagulls are the first thing you can hear in the morning and also the last thing you can hear when you’re falling asleep. Apart from the city wildlife, Edinburgh has a lot of sights and places worth a visit. We didn’t waste those a few sunny not rainy days (that’s why Brits buy a cabrio) we had and visited the famous Edinburgh castle, a big mountain in the middle of the city and the Portobello beach. Yes, Edinburgh has a beach with an Italian name – I guess it sounds more like a real beach in Italian. You can see our expeditions in the photos! Enjoying the power of wind at Holyrood park. Apart from all the fun and experiences we’ve had, we have also familiarized ourselves with our projects. 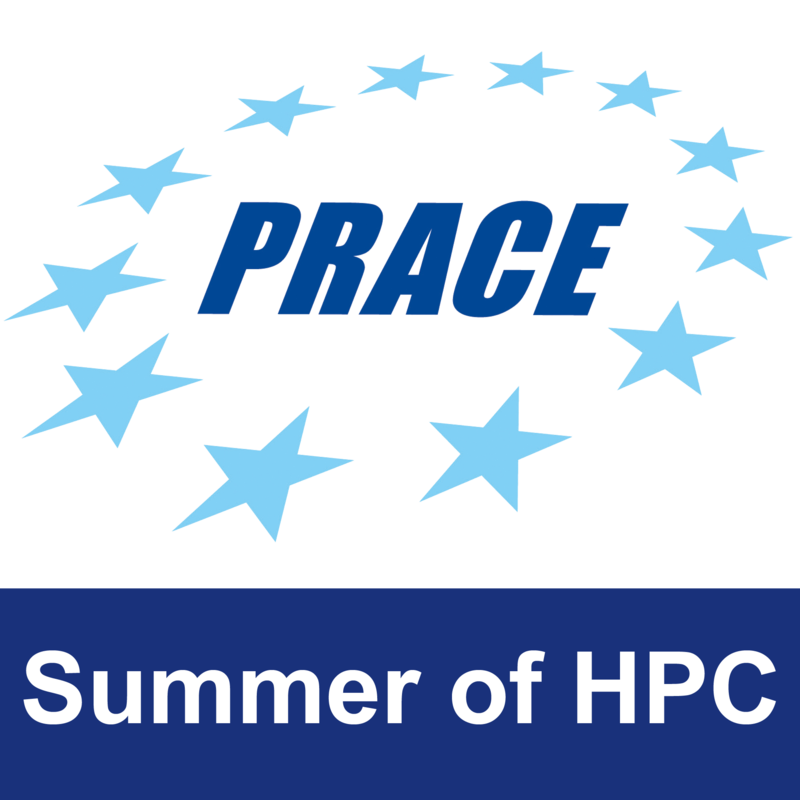 Last week I attended the HPC and MPI courses. Some of the things I already knew because I’d got a good base during the Juelich training week and from my university (briefly, I’m just awesome!). The people at EPCC are no exception when it comes to friendliness. Everybody have started to work on their project last week. Tomislav and I passed the ARCHER driving test. Now, we can use this powerful beast. I have tamed an Anaconda and I will be occupied with profiling different serial versions of a Computation Fluid Dynamics (CFD) code. Finally, I will create a parallel MPI version of this code and do some awesome visualisations. Just a few people wear kilts (a little disappointing). 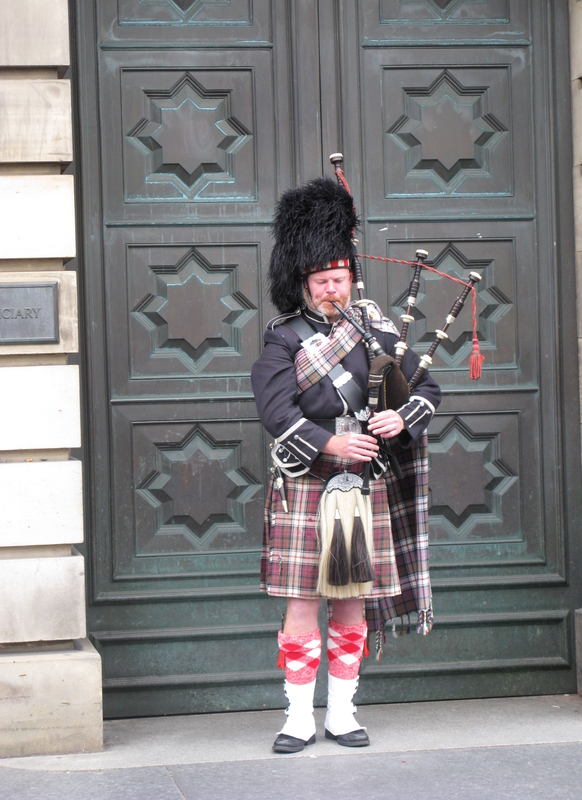 You can hear bagpipes every day – we still like it. Milk in a tea is daily basis. I like it, but Tomi and Anna don’t share the same opinion with me. However they drink it regardless, in order to fit in. Spirits are said to be cheaper than beer (we have to check it and taste some of good Scottish whisky). Haggis and the black pudding are very delicious (eating this, you save some vegetable). Irn-bru (Scottish famous soft drink) should be pink! It tastes like a pink chewing gum or like a toothpaste for kids. As a good Scottish proverb says: If you wear underwear, it would be a skirt.